Newgen Software Technologies, a software products maker which listed on the exchanges earlier this year, is looking to expand its business and geographical footprint. It operates in more than 60 countries and believes it has a significant opportunity to grow its international footprint. 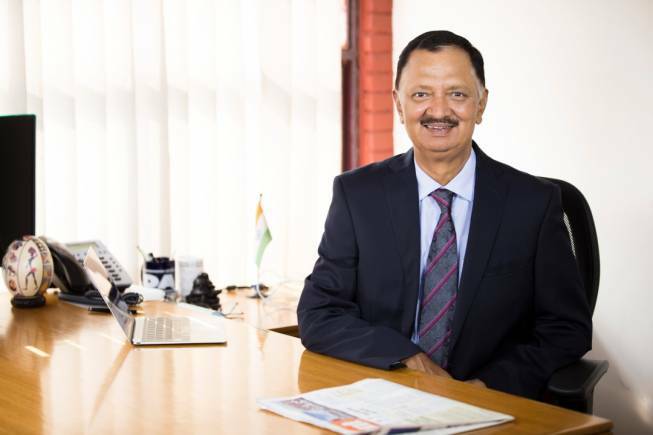 In a chat with Moneycontrol, Chairman and Managing Director Diwakar Nigam talks about future plans and the journey so far. Q: What are your focus areas this year? A: Newgen’s prime focus is to provide enterprise-wide, mission-critical solutions helping organisations drive digital transformation and competitive differentiation through three core platforms- business process management (BPM), enterprise content management (ECM) and customer communication management (CCM). We are continuously expanding our product portfolio and lay strong emphasis on elements like digital sensing, robotic process automation, enterprise mobility, analytics and cloud. We are also looking to expand our business and geographical footprint. We operate in more than 60 countries and believe we have a significant opportunity to grow our international footprint. We are also targeting attractive verticals in select mature markets including the US and UK. We possess multi-vertical industry expertise with solutions in 17 different verticals and aim to develop our strategic business applications for newer verticals. Q: Could you talk about the cloud business and what all it entails? A: The industry, especially in the developed economies, is witnessing a shift to software-as-a-service with an increasing number of customers deploying the BPM, ECM and CCM platform on the cloud. We are making continuous investments to develop and scale our cloud/SaaS business by increasing penetration and strengthening the platforms to meet all compliance/regulatory requirements. Our customers use software functionality in a cloud-based-infrastructure provided by us for which they pay per user per month fee to us. We have monthly, quarterly or annual basis plans. It continues to be our fastest growing revenue component. In FY18, cloud/SaaS revenue witnessed a growth of three times to reach Rs 11.35 crores, contributing 2 percent to the revenue from operations. Q: Since you are a product based company, what impact do you see on your business, if at all, from the proposed data protection Bill, if it were to be passed in its current form? A: Data protection is essential in today’s world. The draft data protection bill is a very welcome move by the government which would ensure the digital economy is free and fair and will protect the autonomy of the individual. We hope the bill will be for the larger good. Newgen adheres to all the necessary compliances in the business landscape. Q: Which verticals are driving revenue growth and where do you see growth going forward? A: In the last five years, we have seen a topline growth of about 20 percent year-on-year (YoY). We expect to continue the growth momentum in the medium term. In Q1 of 2019, we witnessed a 28 percent annual increase in consolidated total income and added 17 new customers during the quarter, despite the seasonality in business. Although banking, insurance, government/PSU, healthcare and shared services/BPO/IT remain our key vertical focus, we possess multi-vertical industry expertise with solutions in 17 different verticals. In the first quarter of this financial year, our banking vertical comprised 51 percent of revenues, government/ PSU comprised 13 percent and healthcare comprised 9 percent of revenues during the quarter. In terms of offerings, cloud/SaaS continues to be our fastest growing revenue component as it contributed 5 percent to revenue from operations. In Q1FY19, our cloud revenues grew by 157 percent YoY though on a smaller base. We expect growth in our core verticals to remain strong in future as well. Going forward, we will continue to innovate our products and keep them state-of-the-art in order to keep our customers ahead of the technology curve. The US will also be one of our prime focuses as our business there is growing well. Q: From a product software standpoint, what are the biggest challenges or concerns that you face in the current environment? A: We started our journey in 1992 and so far we have not had any failed installations. Being in the software product industry needs a lot of patience and persistence. It takes a great amount of time and effort to build a product which is unique and robust, which will be used by customers for years to come, and that is quite challenging. We have created an active customer base of over 520 clients running their businesses and critical operations on our platforms in over 60 countries. With ever-changing paradigms, it becomes pertinent to make the right choices and constantly innovate to keep ahead in the technology curve. Last fiscal, we spent 7 percent of our revenues in R&D. Newgen has been unwavering even during tumultuous times. The fact that we have been recognised by leading global advisories and research firms from time totime speaks at length about our commitment to deliver innovative products and solutions to our customers.